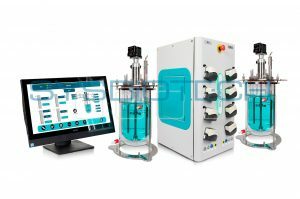 SYSBIOTECH Pilot-scale Bioreactor is a reliable solution for working with cell culture-based process for scientific research and small biotech production facilities, as well as for scaling-up technology. 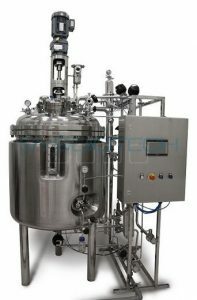 Standard «ready to use» solutions include all components needed for convenient operation with cell culture applications. After connecting the Bioreactor you can start using it right away without having to buy any accessories. 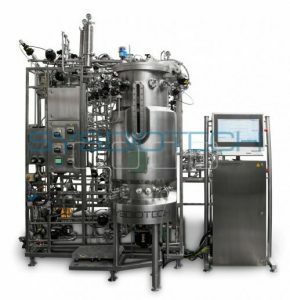 SYSBIOTECH Pilot-scale Bioreactors have fully aseptic design and can be validated easily. C-BIO2 control system, universal for any volume of Bioreactor greatly simplifies scale-up process and allows for easy transfer of cultivation data. 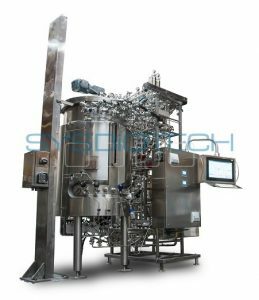 If needed, SYSBIOTECH Bioreactors can be upgraded to fulfill your specific application requirements. For your convenience, all the necessary piping is installed on open stainless steel mobile frame. This helps to save space in your facility and simplifies access for maintenance of the Bioreactor. All wetted surfaces are made of AISI 316L stainless steel with surface finish of 0.4 μm, to allow for effective CIP (cleaning-in-place). 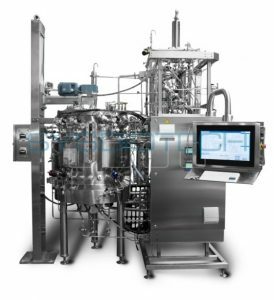 Automated and user-configurable CIP and SIP (cleaning-in-place and sterilization-in-place) processing is standard included. 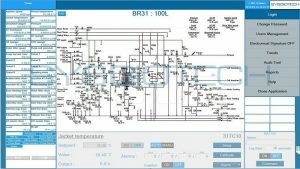 A user-friendly program tool allows you to create your CIP and/or SIP sequence by defining its steps and set parameters. By combining sequences you can build a fully automated procedure for your entire application, maximizing day to day process consistency and ensuring best results. Mixing speed 30–600 rpm (standard option); up to 1,500 rpm upon request. 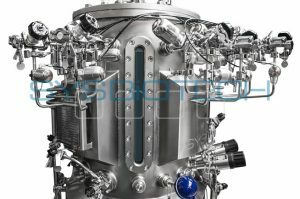 5" absolute filters 0.2 μmto ensure purity of gas mixture inside the vessel. 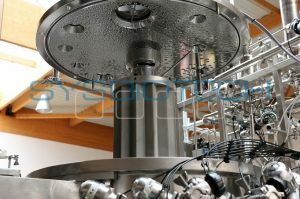 Universal control system for SYSBIOTECH’s bioreactors, independent of volume. Automation of the entire cultivation procedure using pre-programmed ‘sequences’ – for better control of your bioprocess.